Hi Gorgeous! I am catching up on my promise reviews! First I want to say the packaging is gorgeous! I love it when beauty items not only beautify you but also act as a decor for your room! The unique rectangle shape of the polish make it look classy, sophisticated and also great & easy in organization! Does not take up extra space and easy to display! 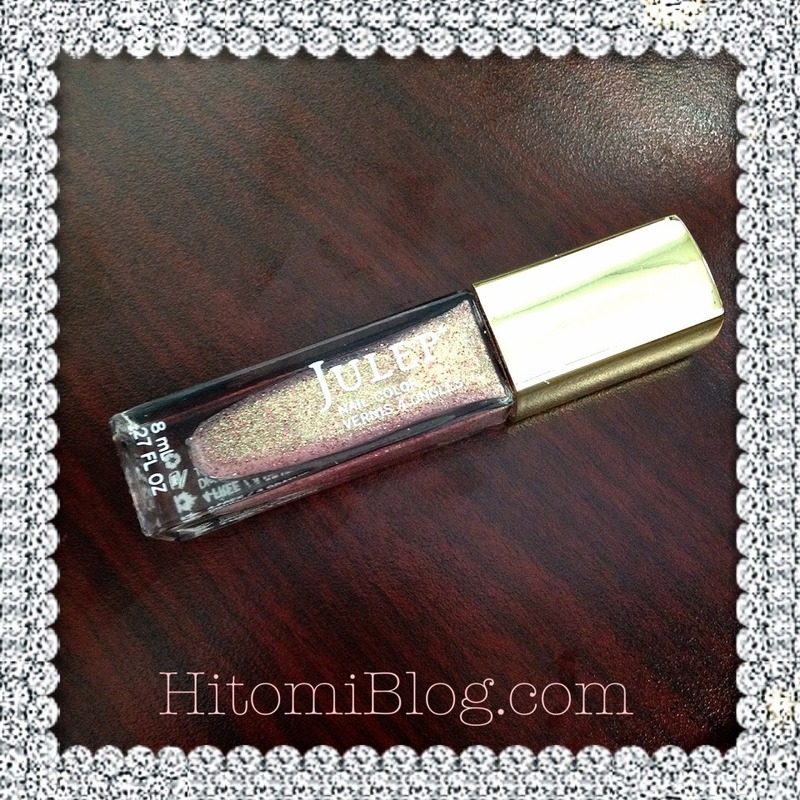 With Julep, even the more see through glitter or clear nail polishes are easy in application! The thickness is just right, perfect for girls like me who just can’t do nails! The LOVE nail polish is basically a sheer gold base with red glitter dots. I think it’s pretty, not overwhelming and suitable for many occasions! Overall I am very satisfied with this product, I highly recommend julep nails polishes in general as they have yet to disappoint me with any of their nail products! sorry I think my image here may not have captured enough details. 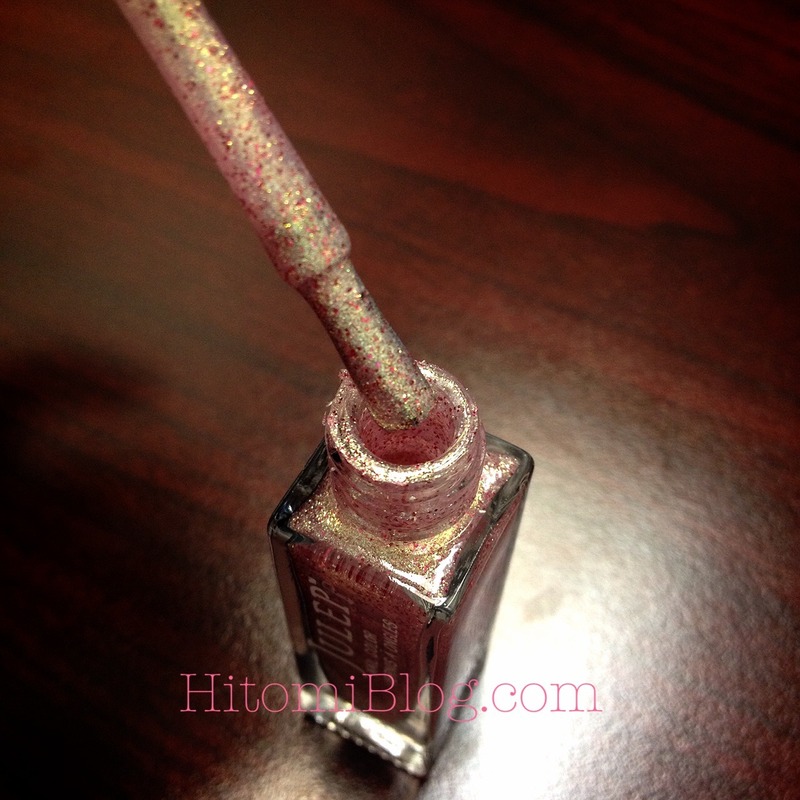 If you like to get a FREE BOX of JULEP nail polish~ CLICK HERE join the monthly maven box! Enter the code : FREEBOX with my link and you’ll get it for FREE! In case you don’t know, Julep Maven box is worth at least $40 each box, but you will be paying only 50% or less of the value! & of course, you get to get the first box FREE. If you don’t want a box, simply SKIP and you won’t have to pay anything! They send you Email notifications so you will never miss it!